DevOps is a term used for the set of practices and concepts that automates the different processes between IT teams and software development. DevOps helps these two come together to create reliable software that they can build, test, modify, and release at faster speeds. It focuses on bringing teams together, allowing for collaboration in areas where it was almost impossible. Even better, DevOps helps to resolve critical issues at greater speeds, to manage unplanned workloads that may pop up, and to foster increased trust in a team. The DevOps definition is still changing and molding. In fact, it changes as some of the major philosophies behind it change. DevOps is the melding of a few different worlds, namely: Agile, Operations Management (Systems Thinking and Dynamics), Theory of Constraints, LEAN and IT Service management, among others. DevOps is a practice that studies the building, evolution, and operations of systems at scale. Pushing further, we can define DevOps as the combination of tools, practices, and philosophies that help to deliver applications and services to clients and customers in greater numbers. It is a collaborative effort of operations and development engineers throughout an entire DevOps lifecycle. It comes from combining Agile and Lean approaches, forcing them together to help us understand how development and operations staff work together in all stages of developing and operating a service. DevOps helps organizations serve their clients and customers while competing effectively with others in a specified market. To hear DevOps explained, one might think that it sounds like Agile and it is, in some ways. However, DevOps pushes further than Agile, including systems and operations, widening the amount of ground that one can cover. The methods tend to be the same and some of the tools are similar as well. Agile paved the way for DevOps, moving software development from the waterfall method into one of continuous development. Still, it didn’t include the operations side of the equation – that was still based in the waterfall method. Still, DevOps keeps in mind one thing: that software isn’t complete unless the final project meets the expectations of the user, including the performance, availability, and amount of change needed. DevOps helps to ensure that any changes or modifications are completed with a low failure rate. Companies and businesses of all sizes and scopes use DevOps to ensure continuous integration, continuous growth, and continuous success. DevOps can be used in different ways. It literally means “developer and operations collaborations.” The main focus of DevOps tends to be on continuous delivery, automation, and site reliably. One important thing to note is that DevOps isn’t simply a set of tools. Instead, it is a theory that utilizes tools. 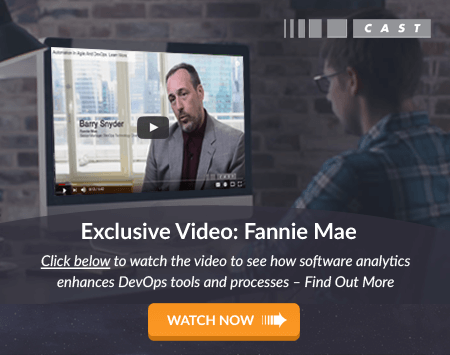 DevOps promotes cross-functionality, shared responsibility, and trust among your team, helping you to extend your development goals for continuous integration and delivery. DevOps means that you can release faster and better work with stability and confidence. There is a lack of automated tests and review cycles so that you can work at the speed you want, instilling confidence in your team. Even better, teams will increase productivity and release better work more frequently.